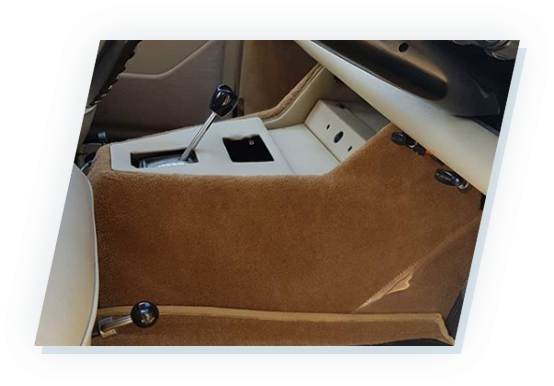 We offer a number of services and depending on what your requirements are, the work we undertake can range from a door panel replacement to a part or complete re-trim of the interior of the vehicle. Simple seat repairs caused by cigarette burns, tears or rips. The recover and rebuild of your seats in any fabric leather or vinyl that you can customise to suit you or your vehicle. We also offer a full repair or recovering service and also minor repairs for the interior of boats such as cushions or seats, all the side panels etc. We can offer a service in retriming aircrafts and we make sure that all of our work comes up to the highest standard and specification. Copyright © 2019 CH Auto Trimmers. All Rights Reserved.